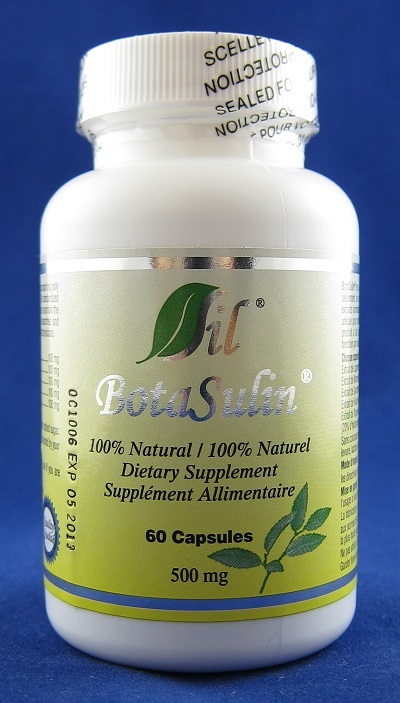 BotaSulin (60 capsules)- Save-On Nutrition Centre Ltd.
BotaSulin is a synergistic combination of botanical extracts containing only the finest natural occurring active ingredients available. The standardized extracts in this formula are processed by a unique technique to maintain the intrinsic value of the botanicals. This product was well researched and formulated to maintain its function by a team of scientists and physicians. BotaSulin is a proven hypoglycemic agent which is composed of a mixture of botanical extracts for blood sugar management, particularly in non-insulin (type II) dependent diabetes. The Botanicals in BotaSulin have been used for centuries for the treatment of diabetes in many countries. They have rightly earned the names of the "sugar eater" and "sugar destroyer". Taken with meals, it helps the body to deal with sugar levels in the blood and the sugar content of the meal. The blood sugar regulating properties of BotaSulin has been demonstrated in cell culture, animal, and human studies. Improves blood, urine glucose levels and glucose tolerance without increasing blood insulin levels due to BotaSulin's insulin-like direct hypoglycemic activity. Promotes regeneration of beta cells, preserves beta cells functions and stimulates insulin production and secretion. Stimulates glucose transport into cells and increases tissue glucose uptake and glycogen synthesis. Regulates metabolic activities of liver, kidney & muscles and reduces the absorption of carbohydrates and prevents adrenaline from stimulating the liver to produce glucose. Controls appetite and food craving (especially carbohydrate cravings). Lowers serum cholesterol and triglycerides. The above information is for educational purposes only. It is not meant to diagnose, or in any way replace qualified medical supervision. For serious medical conditions, consult with your doctor before using these or any other herbal remedies.